The wellness movement in the workplace has seen the benchmark rise in more ways than one, with the recently completed renovation of 101 Collins St, a multi-tenant tower in Melbourne’s CBD. Here, stunning ‘end of trip’ facilities to be used by workers post travel, or perhaps after a lunchtime work-out, rival that of a luxury spa and echo the transformation of the bathroom from mere function to ultimate relaxation, a virtue synonymous with apaiser. apaiser’s ORIGAMI basins in Charcoal, stand prominently against the backdrop of a stunning terrazzo stone and honeyed timber veneers in this prestigious development designed by Gray Puksand Architects. Our beautiful SAMPAN collection, designed in collaboration with the creative team at WOHAbeing is set to expand this month with the launch of the new SAMPAN shower bath. This intelligent design is both shower and shallow bath – reminiscent of a Japanese reflective pool and was featured as part of the Handmade exhibition by Wallpaper magazine running as part of Salone del Mobile and Milan Design Week. The shower bath will also be on display as part of the Wallpaper Handmade retreat exhibition, Gillman Barracks Singapore, until 31st May 2018.
apaiser’s long standing association with the luxurious Four Season’s brand further extends with the opening this month of their latest resort on Desroches Island in the Seychelles, considered one of the most pristine and untouched locations in the world today. A luxe castaway inspired décor, combining bleached timbers, chalk stone floors and pale rattan detailing offset by ebony hardware. Our made-to-measure HAVEN baths take pride of place to best enjoy the sensational and uninterrupted island vistas in mesmerising comfort. These are beautifully complimented by our SUBLIME-LAGOON basins, as well as our PLUNGE and TRANQUILITY basins from our past collections. Designed by multi-award winning studio, Biasol, this beautiful private residence known as Shanti House in the Melbourne suburb of Caulfield is a study in understated luxury. Described as an architectural expression of the owner’s yoga practice, an immediate and sustained sense of tranquility, amplified by the sheer abundance of light and air throughout the series of interflowing spaces makes this a truly remarkable home of distinction, albeit crafted with elegant restraint. 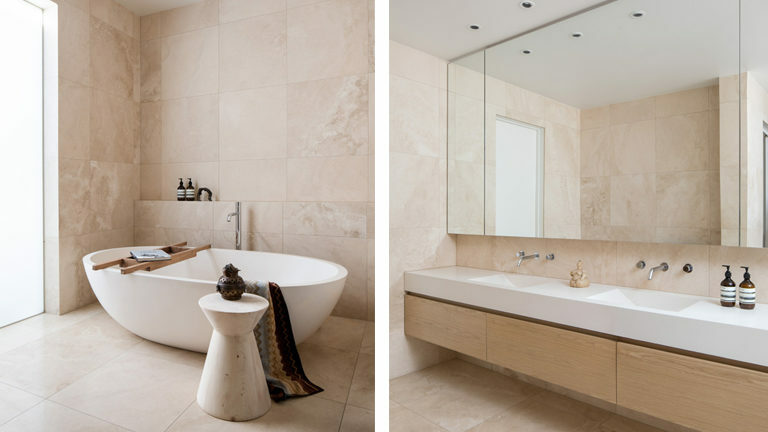 Our HAVEN bathtub and SCOOP vanity (past collections) create a calm and spa like ambience in the bathroom, and allow the owners to embrace its purpose-designed ability to both luxuriate and meditate within. The Shanti House was designed around energy, flow and natural elements working together to bring life into this home, our selection from apaiser perfectly embodied this concept to deliver a neutral and timeless aesthetic which seamlessly connected with the space. 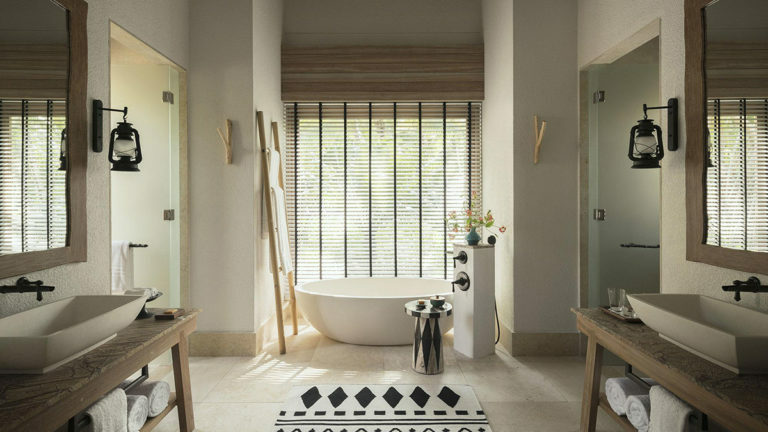 The products we selected provided a sense of spaciousness and serenity in the bathrooms. – Jean-Pierre Biasol. 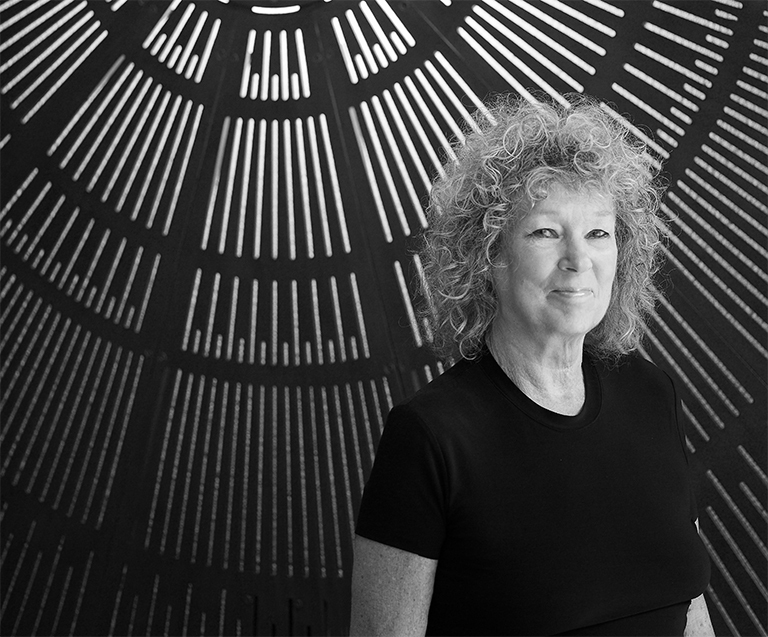 Founder of CLODAGH studio in New York, Clodagh passionately believes that good design supports well-being and can transform people’s lives. She believes while clutter undermines serenity, minimalism should not be self-denying. The experience of entering a Clodagh designed space is one of blissful serenity. Clodagh is first and foremost a citizen of the world, who travels the globe for business and inspiration. A tireless supporter of organisations who foster education in the developing worlds she believes passionately in bringing the power of education to children in the most marginalised and remote places on earth through her Thorn Tree Project, The Azama project and Ape Action Africa. This month, we caught up with Clodagh to discuss her design philosophy. Q: Clodagh today accounts for a broad body of work across both commercial and residential design + its own developing line of products. Cutting to the core, where the design of Clodagh is mostly concerned, which do you think takes priority…practicality or aesthetic pleasure…and why? A: We can’t have one without the other – it has to exude both comfort and luxury, which is part of the design challenge (and that rewarding feeling when you are able to tick all the boxes). I like to quote this Shaker Proverb: “Only make something if it is both useful and needful. But if it is both useful and needful, do not hesitate to make it beautiful.” Practicality always comes first – we don’t want to design for landfills. We want to design product that is timeless and works perfectly, with a sculptural lingering beauty. Q: What do you believe is the number one challenge facing designers, and particularly architects / interior architects today? A: The number one challenge is to curate from the plethora of material offerings and to weed out environmentally sound product that doesn’t damage the world we live in. Added to that is value engineering. One of our mottos is “Cost-effectively stunning”, and we always design with sustainability in mind – we must always be designing as ‘green’ as possible. Designing a product or project that is ‘green’, cost-effective, aesthetically interesting/on brand and luxurious is a challenge (but one that we’re always up for). The Spanish have a saying, “Tell me who you walk with and I will tell you who you are.” The challenge is to find clients and vendors who share our core beliefs. Q: There are many factors which play a part in successful design, ranging from the practical to the less tangible in so far as the emotional experiences it can inspire. What do you see as the three most important qualities you believe good design should deliver? A: Good design should incorporate all the elements and address all the senses. We’re offering an emotional experience – a space needs to function in harmony with who we are. Good design should be supportive, harmonious and inspiring. Q: Design was once more indelibly linked to art in the classic sense over centuries past. Where do you see the role of art / artists today where contemporary design is concerned? Have we gone forward or backwards? A: The lines between art and design are increasingly blurred again (which is a good thing). We’re going forwards. Q: If you could sum up the design signature of Clodagh based on your body of work / overall brand philosophy in just three words, what would they be? A: LIFE ENHANCING DESIGN (which just so happens to be the title of my latest book).